I am a teacher. I expect nothing at the holidays and sometimes I am pleasantly surprised by the generosity of some of the students and their families. I get things like holiday cards, gift cards, and homemade fudge. But I am a high school teacher so things are few and far between. I remember, as a child, my mom used to make my teachers pins with their names on them in a holiday shape made of clay or something. Those teachers wore them for years. 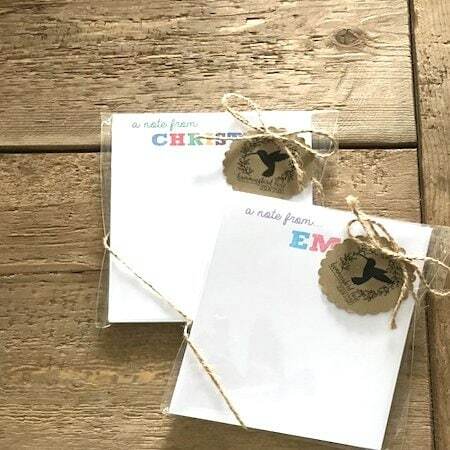 We love homemade gifts but now we have places like Etsy and Amazon Homemade that can make them look like we spent a lot of time but really had someone else do it. 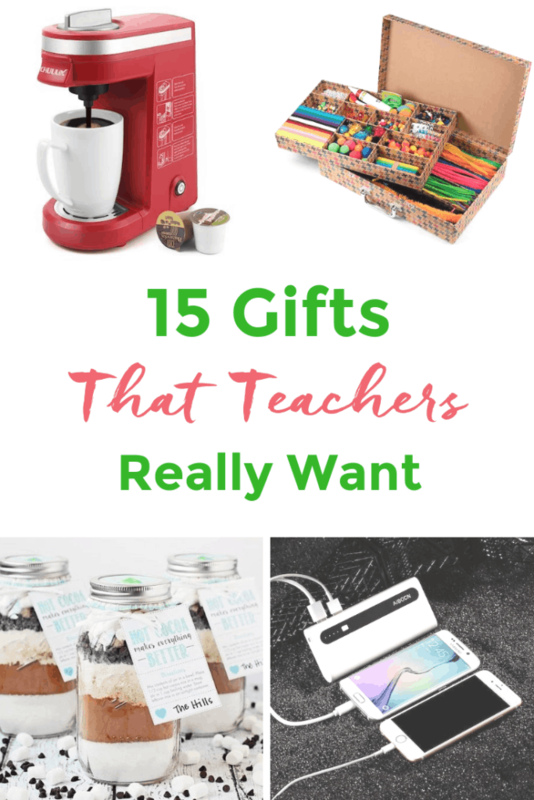 Here are some ideas to the teachers who want for nothing but are happily surprised to receive holiday cheer and praise for all they do. For your younger grade twinnies teachers, they can always use art supplies or crafting materials. 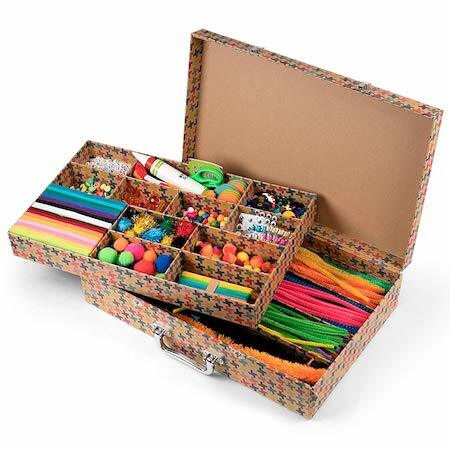 This box has over 1000 pieces including beads and sequins, fuzzy sticks, pom poms, felt pieces, wooden dowels, floss, googly eyes, sticker back jewels, wooden discs, craft sticks, scissors, needles, and glue tube. This may be out of the price range of what you were going to spend but I thought it was too good not to put on the list. Teachers NEED coffee! 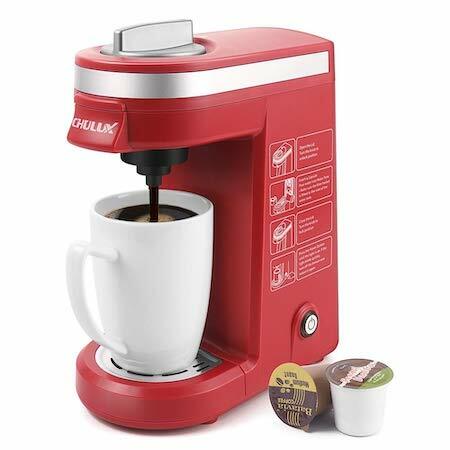 This can use any kind of pod, cup, etc and it is small enough to hide in the back corner of a closet, many a teacher’s “office”. As a teacher who has been at this for almost 20 years, I still use paper to take notes. 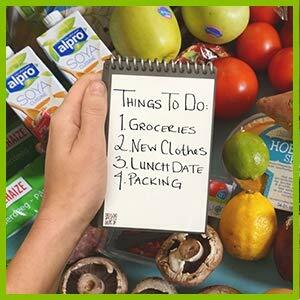 This notepad can be used and used and it turns all of your notes into PDF files so you can erase and start again. 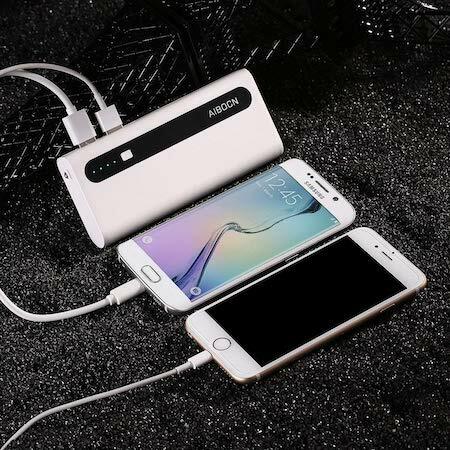 We are constantly needing power for tablets, phones, whatever, a travel power bank is the perfect holiday gift to keep us going and going and going. 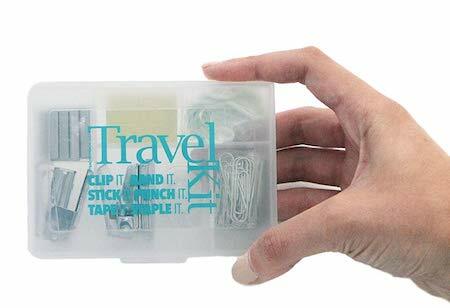 I love clips and little trinkets and this giant clip can hold a mug, pop, whatever and not take up any room on our already cluttered desks. 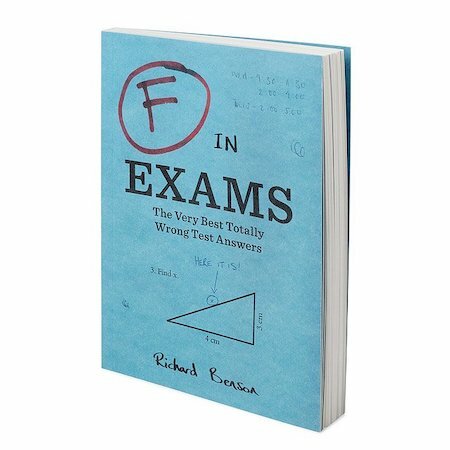 Why not make that teacher laugh by showing them some of the other reasons people have gotten an F in a class! LOL with this book and share the love! Adult coloring books are all the rage. One specifically for teachers “…Said no teacher ever” will be great! And why not throw in some colored pencils too. 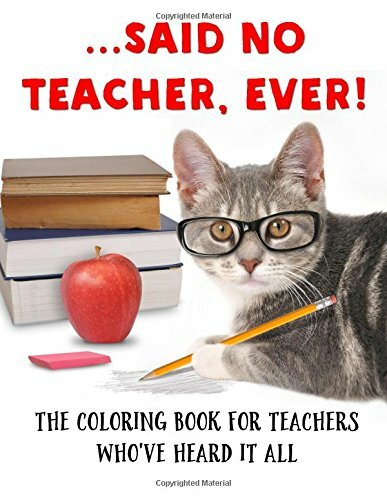 A custom notepad for the teacher is a great gift! 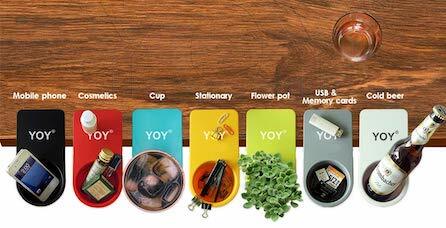 So usable and will come in handy all the time! By the time the holidays roll around us teachers have no more pens or pencils to loan out because they have walked away! 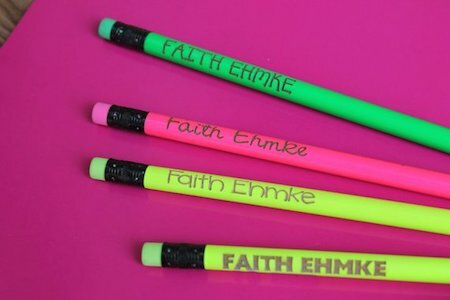 A gift of bright colored personalized pencils make them stand out so we can find them in a pinch. Ok, so here is. 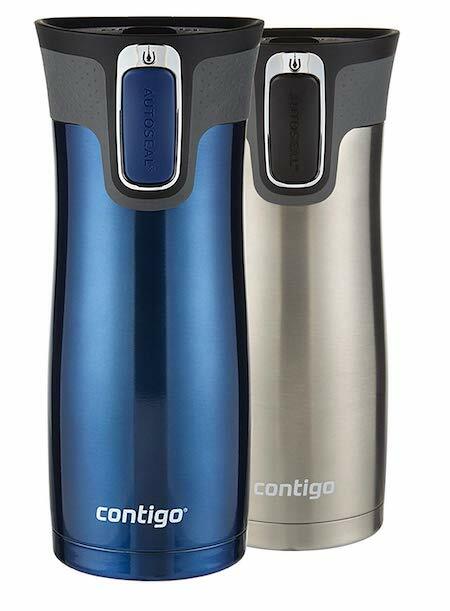 What I like to do is buy multi-packs of these AWESOME travel mugs, then break them apart, fill with candy, and voila! 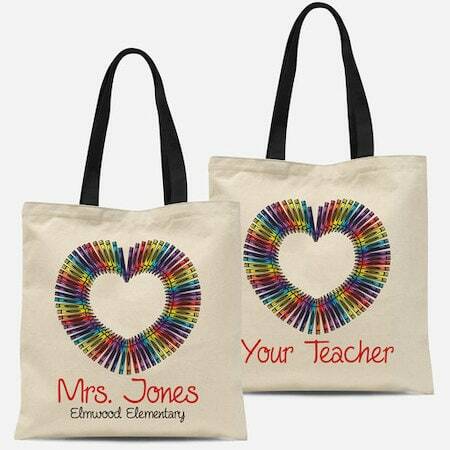 You have the perfect teacher gift! Remember these teachers are like moms — if they get to have their coffee or tea hot they are happy, but it rarely happens. Help them out! 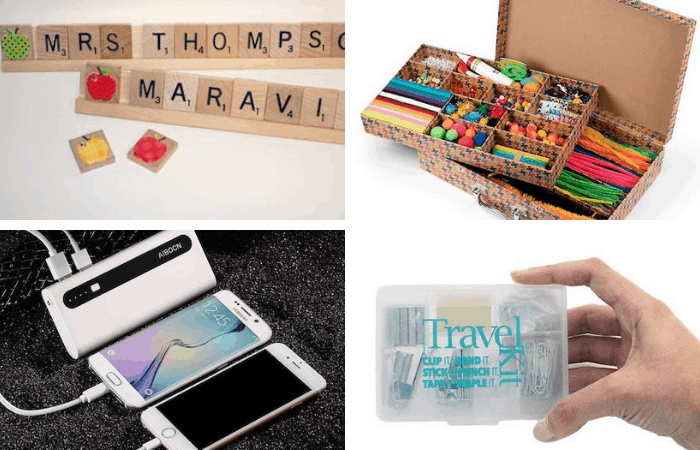 A little emergency teacher kit for the on the go teacher! Everything is mini and able to move! Now to just figure out how to lock and track all of our things? Ok not our typical place to recommend but local Chicago Mamas who will get your personalized stuff out in a few days on high quality materials. Use Code JENIFER15 for a discount or just sign up for their VIP list they send a code every month! 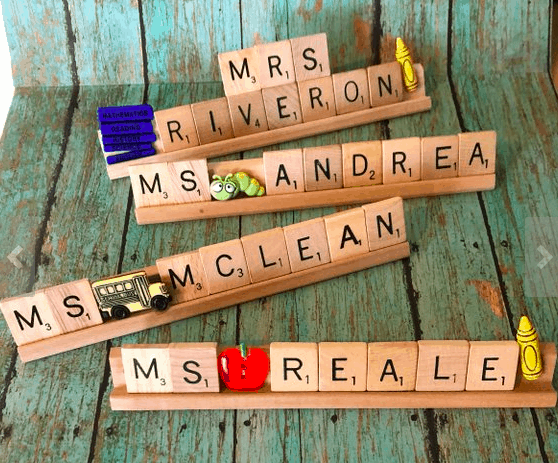 How cute a nameplate with your teacher’s name, made with new, vintage, and handmade scrabble tiles. 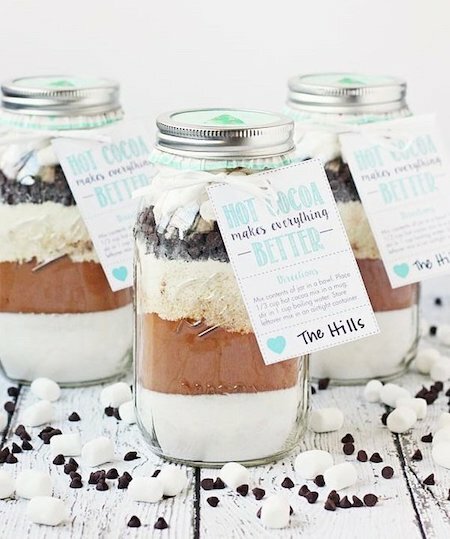 A handmade, not so handmade gift, hot chocolate is a great hot beverage for the winter and a mason jar of the good homemade stuff is awesome and truly thoughtful. Not everyone drinks coffee, but in my opinion, all should drink hot chocolate! 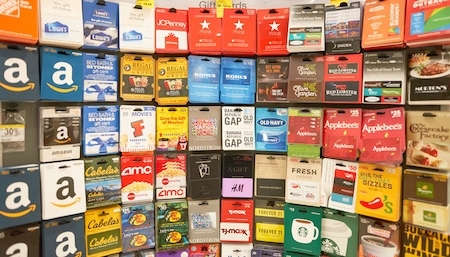 The truth is teachers love a gift card. They can spend it in any way they want and it’s easy to use. Great ones are Starbucks, Amazon, and Target. A teacher’s job is never done. They work for minimal praise and rewards that they may not see for many years. Thank your twinnies’ teachers with a small token of your appreciation for playing a huge role in their lives and development (and for taking them away from your house for 8 hours a day).